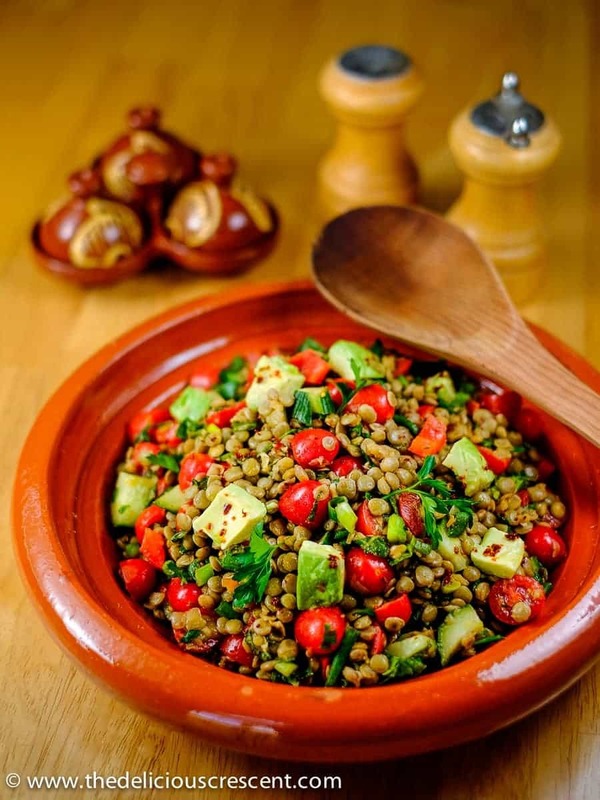 This Spiced Herbed Lentil Salad with Avocado is a lip smacking salad infused with eastern flavors and loaded with protein, fiber, healthy fats and robust nutrients! 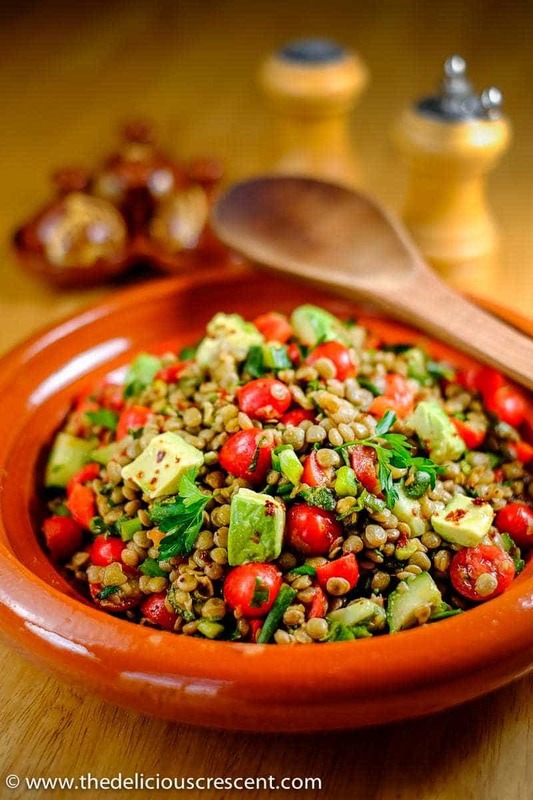 There are several types of lentil salads prepared all over the world. The version here is similar to the ones prepared in the south/east Mediterranean and the middle east. Lentils are of many kinds; quick and easy to prepare. 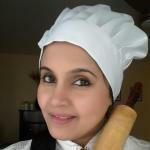 Here, I have used the green lentils, as they cook to a firm texture without falling apart. Lentils are an excellent source of protein, fiber, folic acid, manganese, iron and phosphorus. They are a good source of soluble fiber – which helps lower cholesterol levels. Lentils being a plant food, are a source of phytochemicals and considered to be beneficial in lowering the risk of obesity and heart disease. The high fiber, folic acid and good amount of potassium make lentils a heart healthy food. The dietary fiber also aids with good digestion, regularity and satiety. All the other ingredients in this salad contribute to an impressive flavor, texture and taste. The avocados add a chunky smooth texture. I have previously discussed about avocados in my post about a Creamy Leek Avocado Cilantro Soup. 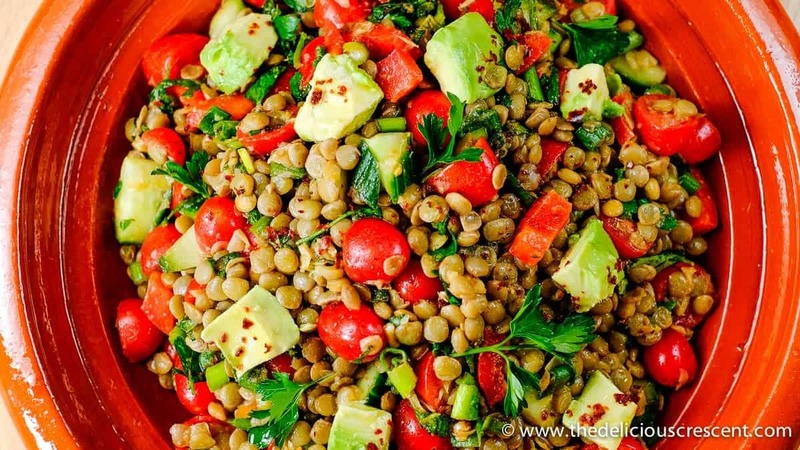 Whether you are from the east or the west, I think that you are going to love this easy and tasty spiced herbed lentil salad with avocado! 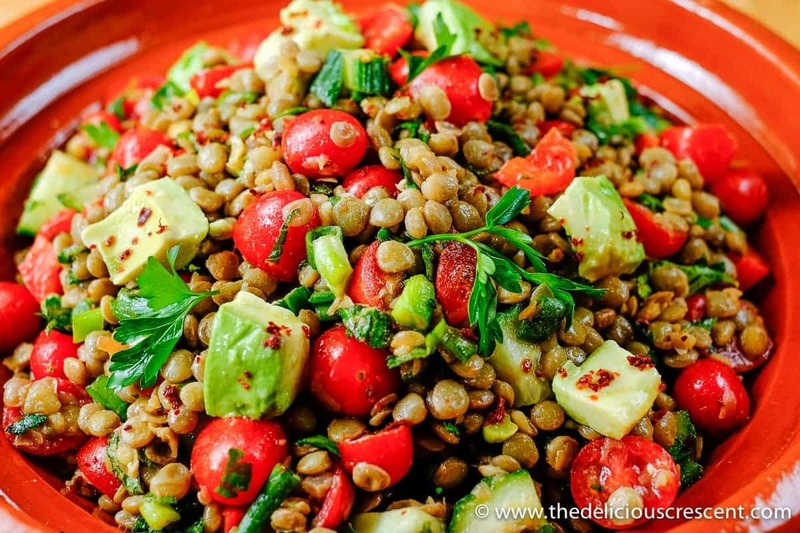 Spiced Herbed Lentil Salad with Avocado is a lip smacking salad infused with eastern flavors and loaded with protein, fiber, healthy fats and robust nutrients! Cook the lentils in about twice the amount of water. Let it simmer for about 15 minutes, until the lentils are cooked well but not mushy. Once the lentils have cooled down a little, place it in a wide salad mixing bowl. Add the tomatoes, red bell pepper, cucumber, scallions, parsley, cilantro and mint. Prepare the salad dressing with the grated garlic, cumin, paprika, olive oil, lemon juice, red pepper flakes, salt, pepper. The pomegranate molasses may be used if preferred. Stir the salad dressing with all the other ingredients and toss well. Adjust the seasoning as per taste. Add the diced avocado in the end and toss. Let it rest at room temperature or in the refrigerator for 10 to 15 minutes. The spiced herbed lentil salad with avocado may be served over a bed of romaine lettuce. May use pickled cucumbers instead of fresh cucumbers. *The sodium value may vary. The suggested amount of salt is just a guideline and may need to be adjusted. Check for any added salt in spice mixes and other ingredients and adjust. Love how easy and tasty this recipe is! Love the lentil and avo combo! This salad makes me think of picnics! I’d love to make this for spring and summer parties. Oh wow that’s a great idea. MMM, lentils and avocado! Two of my favorites together in one salad – looks delicious! I can’t wait to try this recipe, thanks! I am making a lot more salads lately and watching my diet a bit more carefully so this is such a wonderful recipe to find! I love new ways to switch up my salads and this one is PACKED with flavour! My fave! Thanks so much Joyce for your helpful feedback.